Maria Michaelson was born and raised on San Juan Island, educated in the Bay area, and has taught ceramics and shown her work internationally. Maria returned to San Juan Island in 2013, and has been working to create Alchemy Art Center, where her art practice is currently based, since 2016. Maria Michaelson's life sized figurative work is about reaching into her own mythology, and uncovering something that is intrinsic to being alive on this earth. 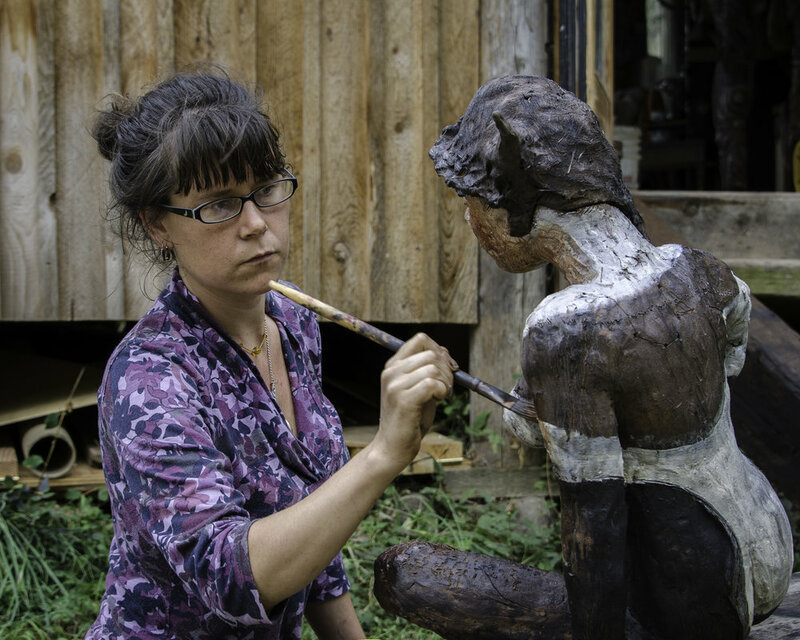 Her sculptures are illustrating what it means to be part of the human story. 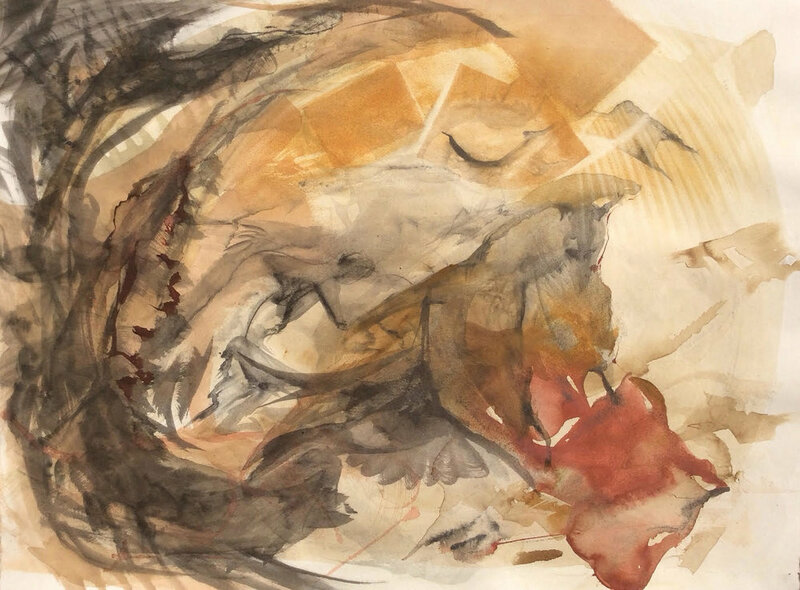 Her work is about the spirit world, that material world, the emotional world. You can learn more about Maria at her website. Eben Shay was born in Petersburg, AK and raised in Arlington, WA. He is a skilled woodworker and boat builder, and has worked with many different materials to create practical objects as well as fine art. Eben is the force behind the design and construction of almost everything at Alchemy, and his unique designs lends the space a rare magic. 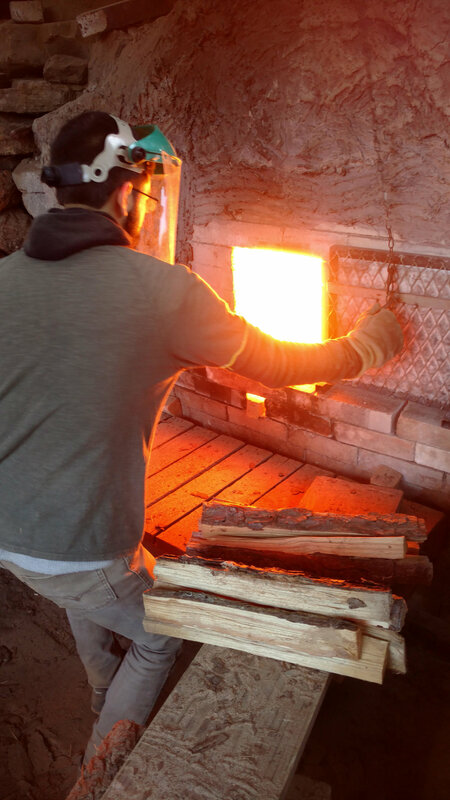 Eben Shay approaches his process with curiosity about his materials. 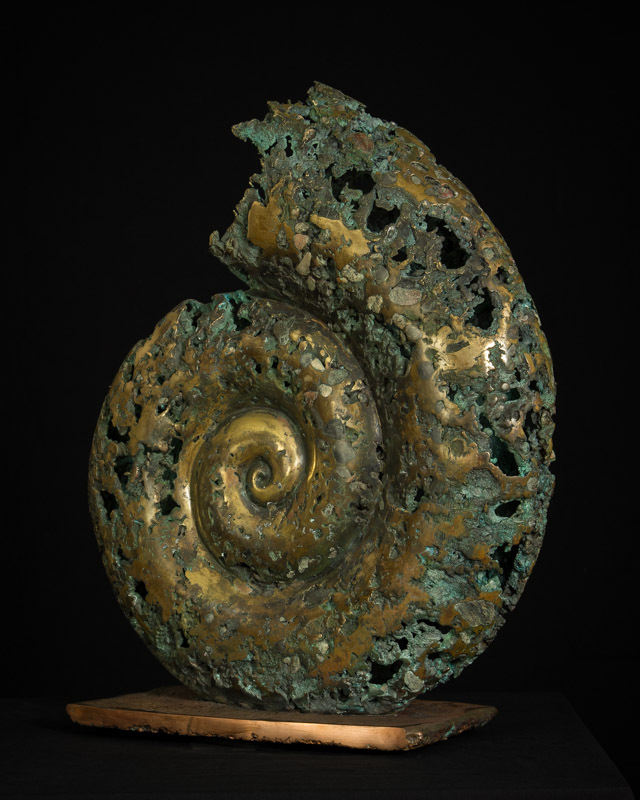 His work in bronze, wood and stone, is the result of playful experimentation, but the finished pieces remind us of the complexity of the universe. Since 2016, Eben has been working with Maria Michaelson to bring Alchemy Art Center to life. Visitors to Alchemy will see that everything Eben creates is art. Glenn Hendrick was born in Los Angeles, raised in the Midwest, and has been living on San Juan Island since 2013. She studied painting, drawing and printmaking at the School of the Art Institute of Chicago and now works in a variety of media including ceramics and film photography. Glenn’s recent professional experience is as a farmer, community organizer, activist, camp director, and program coordinator for various organizations on San Juan Island. She brings a sense of fun and experimentation to her many projects, and is so happy to have found a home base for it all at Alchemy. Sam Ford is an illustrator, visual artist and musician engaged in an ongoing residency at Alchemy Art Center. He has worked since 2005 creating album covers, logos, merchandise, and show flyers for local, national and international acts, as well as designing tattoos, murals, and comic illustration, all while playing drums and singing in the band Wizard Rifle. He was born in San Francisco, raised to the age of 5 in the redwoods of Humboldt County, then lived until 18 years old on San Juan Island in Washington State. It was here that legendary artist, writer and comic industry veteran Paul Chadwick took Sam on as an apprentice for nearly six years and lent his limitless talent and wisdom (and patience) to passing on the art of illustration and storytelling. You can learn more about Sam and his work on his website. Chris Umierski, born and raised in south central Texas, is a relative newcomer to San Juan Island. He works primarily in painting and ceramics, and has been an anchor of Alchemy’s ceramics department since its inception. Chris studied Art and Science in college with an emphasis in painting and drawing. He is currently working on a body of work in ceramics and mixed media drawings.